Do you charge for setup? Set-up time is included in our DJ rates. We usually arrive about 1/2 hour to 1 hour before the start of the event. Please let us know in advance if your event is not on ground level (specify stairs or elevators) or if you see any obstacles to our set-up. Gratuities are not required but greatly appreciated!!! With that in mind, your DJ will be working extra hard for you, so if you feel your DJ gave you a great performance and service then a tip would be appropriate. Our DJ’s love to travel for destination events. Level 1 DJ’s have a 25 mile radius from our office in Livermore. Our Level 2 & 3 DJ’s have a 50 mile radius (excluding events in San Francisco) from our office. Anything outside of our typical boundary would require a nominal fee and possibly a hotel room. We have a flat fee of $300 for any event in SF to cover extra costs associated with time, travel and additional personnel. Please call our office for exact figures to your location. Do we have to provide a meal for the DJ, Photo Booth Tech or Videographer?? A meal is requested if your DJ or Tech is scheduled for 4 hours of music or longer. If a meal is not provided, the DJ would then be required to take a 30 minute break. Please note that your DJ will be arriving approximately 1 hour in advance to setup and will be there 1 hour after the event ends to break down the gear – not to mention travel and load up and unloading time back at the shop. How much room do you need for setup? The average DJ system requires an 8 foot wide by 6 foot deep setup area plus (2) 3‘X3’ sections for the speakers. We also need at least (1) dedicated 20 Amp circuit located within 25 feet of the DJ booth. It always our recommendation to setup the DJ as close to the dance floor as possible, and if at all possible, not to put tables between the DJ and the dance floor. Please consult your AMOSPRO DJ if you have any questions on room layouts. Light Shows, Video Screens and some props require additional space and power outlets. 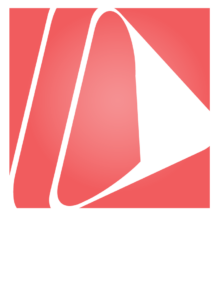 Amos Productions has full coverage liability insurance on all of our DJ’s and events. Please let us know if a Certificate of Insurance is needed for your event and we will supply you with one within 3 business days. What kind of music does your DJ Play? We have an online planning site just for our clients. We will give you a user name and password for you to login to plan music requests, formalities, and a timeline of events. If you do not have your login credentials, please contact us today! Do we meet with a DJ? You are welcome to meet Level 3 DJs in advance to hiring them. You can also come to an open house to meet with Level 1, 2 or 3. You can also meet with the Level 1 and 2 DJs a couple weeks before your event to review all your final details. Be sure to login to our site and complete all your planning material before the final meeting with the DJ. Anything left blank can be finalized at the meeting.